We are a leading Service Provider of english to chinese translation services, chinese interpretation service and simultaneous chinese interpretation service from Delhi, India. 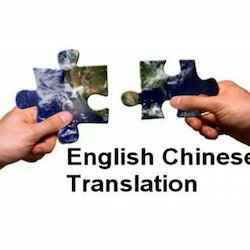 Leveraging by the vast experience of this domain, we provide clients with effective English to Chinese Translation. Rendered by a team of experts, the English to Chinese language translation services can be customized and no information is disclosed. Systematic and timely execution of the translation services makes these Chinese English language translation services highly demanded. We do have professional and Experienced Chinese Interpretation Service, their language is very good, young and energetic, we also offer very reasonable price, assured the best service in every corner of India. 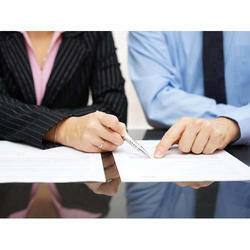 We have a team of expert professional interpreters who ensure for an impeccable service execution. They have acquaintance with more than two languages and have good command over the language. We employ the finest interpreters in the industry who not only have expertise in the language but are also able to execute their work accurately. It is a complex and strenuous process where the interpreter needs to instantly formulate and convey the right message to the target audience in their native language of the speakers who speaks continuously. Generally, it is used in big conferences and meetings. We have an efficient team that has the proficiency to translate words exactly as they are spoken.